We’re going to start off with The Stick. 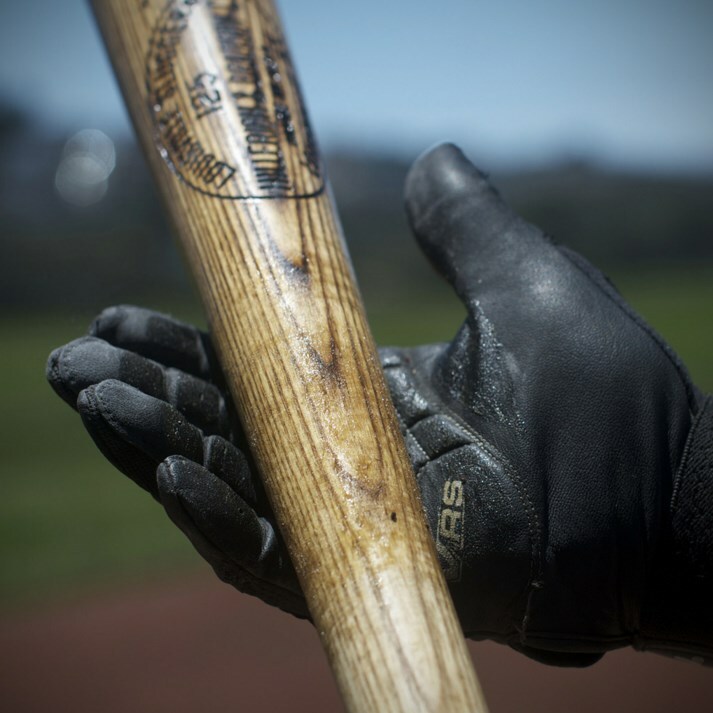 The Stick is a wax based pine tar substitute that is meant to be rubbed on the handle or taper of the bat. It offers the driest tack out of all of the products we will be introducing you to and has a tack level of 7. 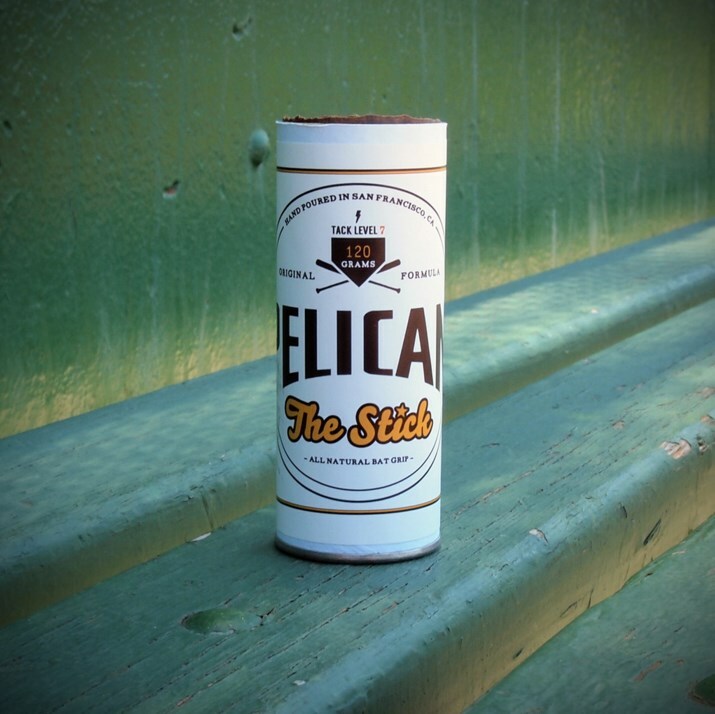 The Stick is available in three colors including natural, pine tar brown and black. 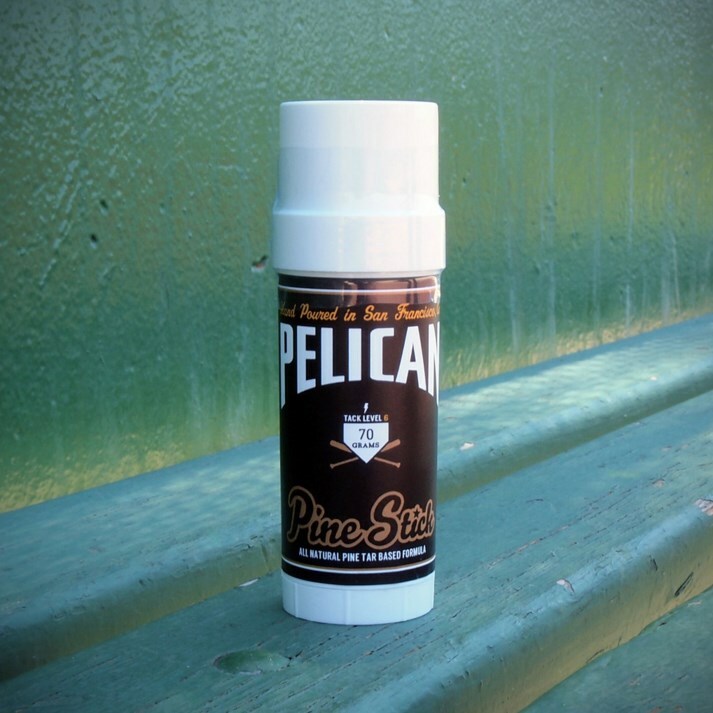 Today, we went with the pine tar brown option. 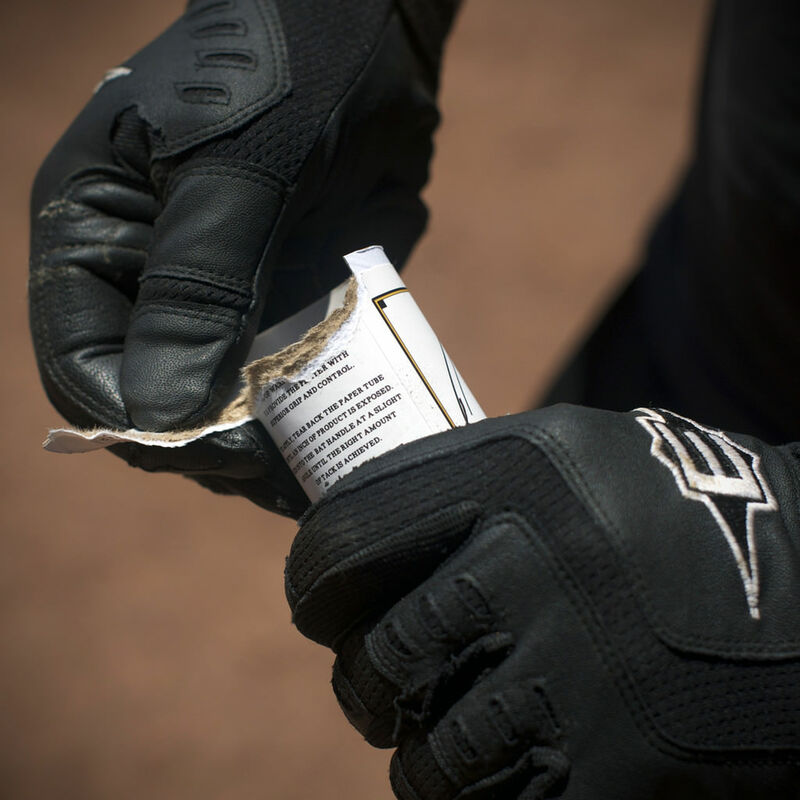 Each stick is capped off with a paper cap that pops out easy when you’re ready to apply. Once the product is exposed, find the pre-cut tab and crack one side of it back. Rip the paper tube off exposing the amount of product needed. 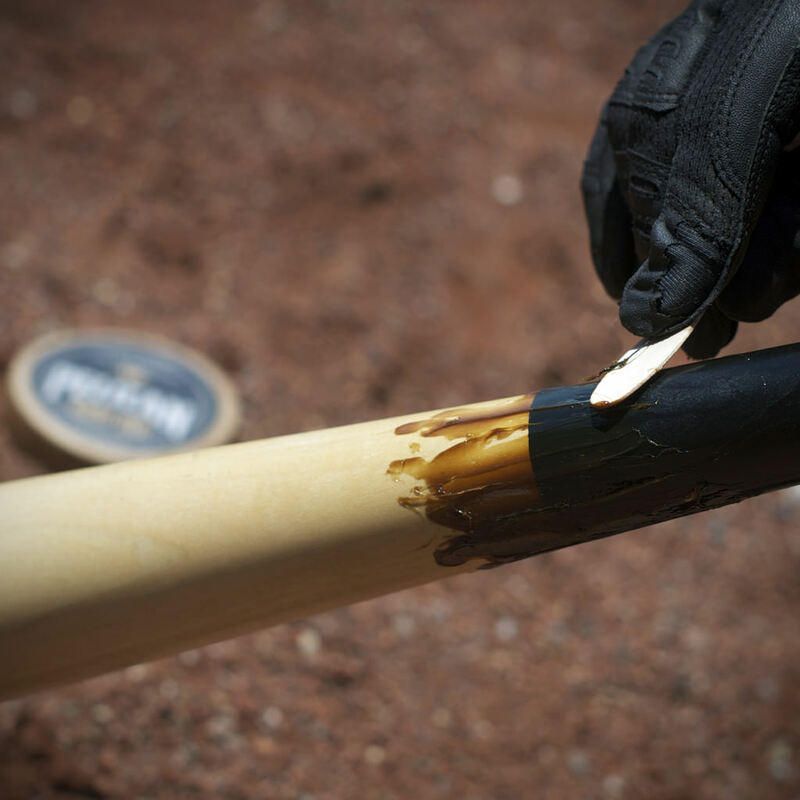 Once the product is exposed, you’re ready to apply on the handle or the taper of the bat. 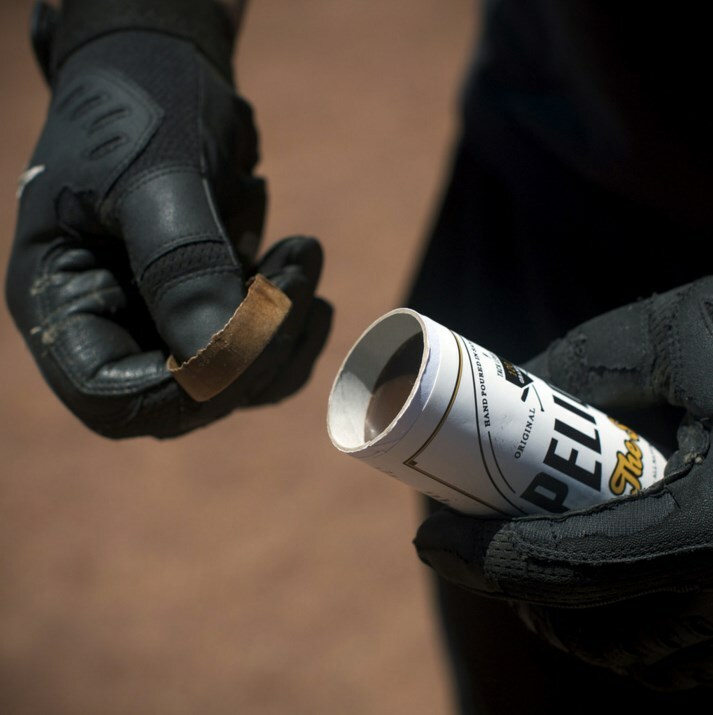 If you’re throwing it out onto the on deck circle for the whole team to use during a game, you might want to rip a bit more of the tube away so you don’t have to worry about doing that during a game. 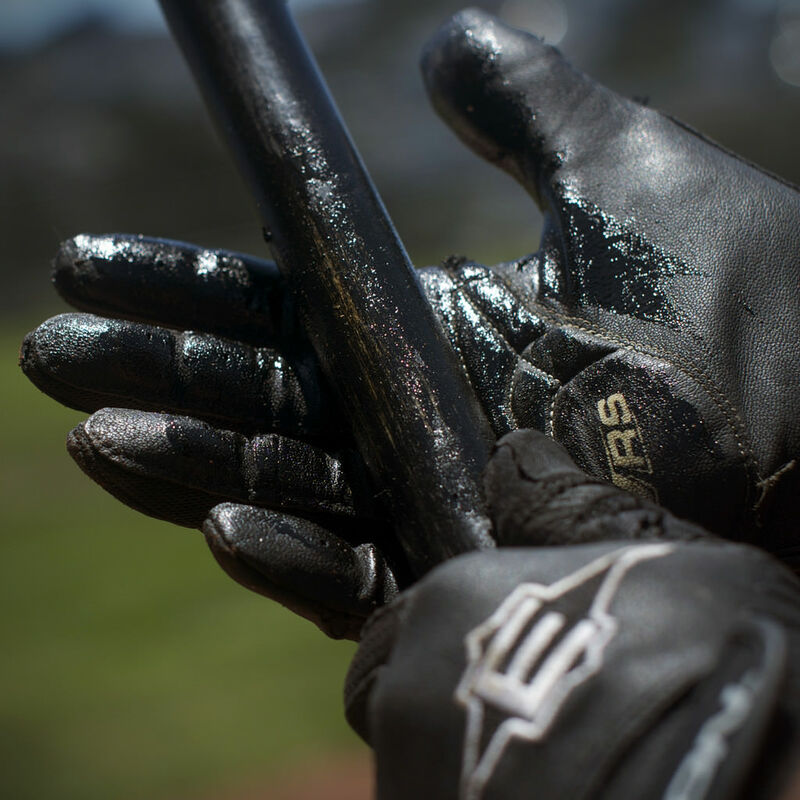 While The Stick is formulated for the bat handle, you can also apply it to the taper and grab it before your at bat to bring some tack directly to your hands. It will be pretty subtle this way but depending on how much tack you want, this could be the way to go. 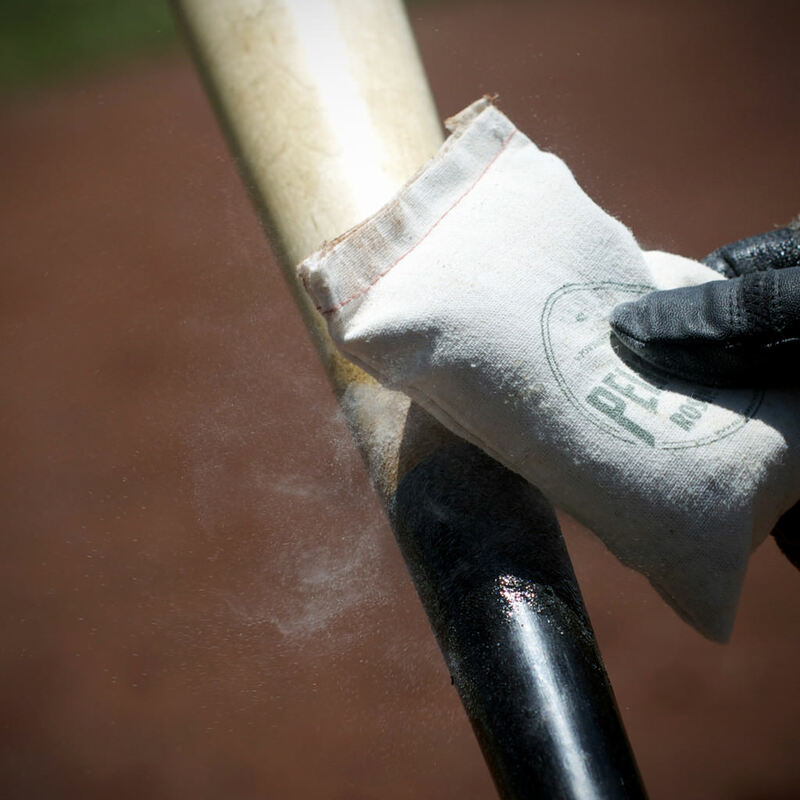 You can also tap it with a bit of rosin to dry it up a bit and still keep it tacky. Next up is the Pine Stick. 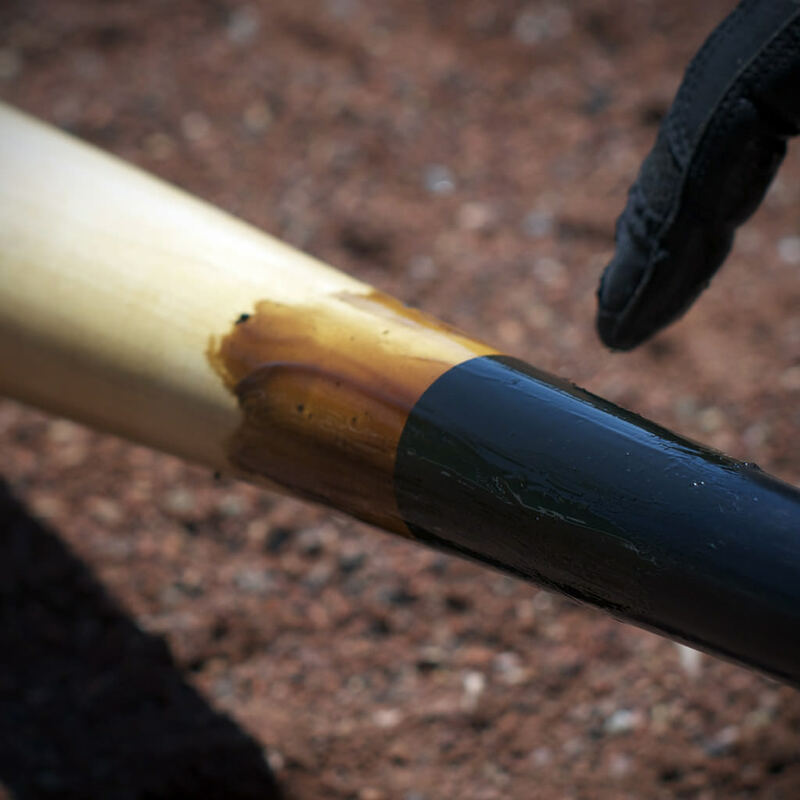 The Pine Stick is a product that can bridge the gap between pine tar heads and players who prefer a grip stick. It comes in a 2oz. twist up tube that is very similar to something you’d see used for chap stick or deodorant. Simply twist the bottom wheel and the product will start coming up from the tube. Once you’ve brought a bit out, rub the Pine Stick onto the taper, giving it a nice consistent coat covering the entire diameter of the bat. Once a nice coat is on there, you can grab it with your hands and bring it down to the handle. The Pine Stick has a Tack Level of 6 so it’s not as tacky as The Stick but still has a decent amount of stick to it. 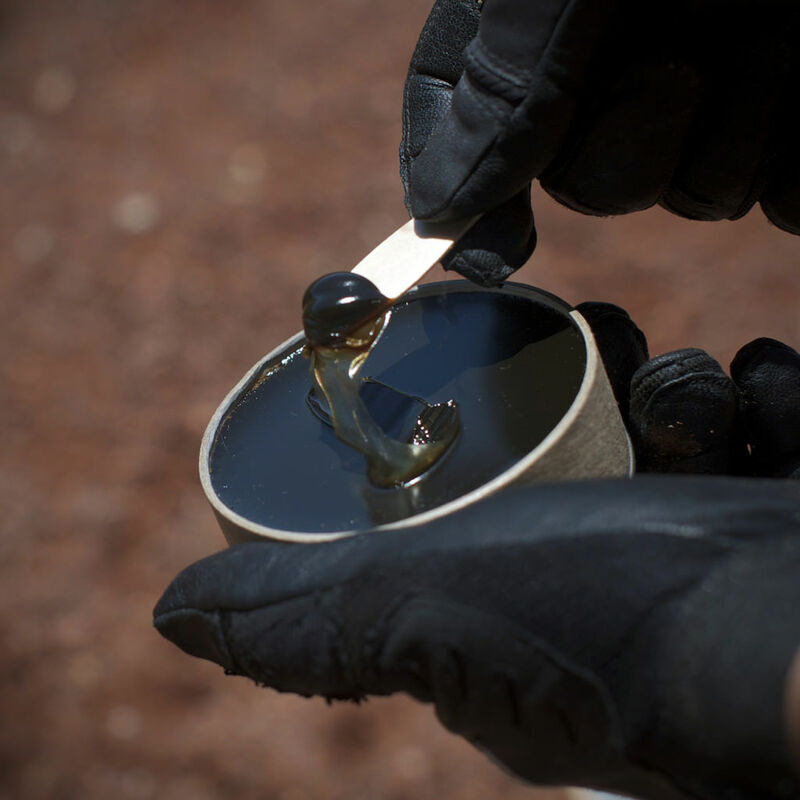 If you’d like to add a bit of tack, you can always tap it with a little rosin which will dry it up slightly while increasing it’s tackiness. The final product we are going to discuss is the Grip Dip. 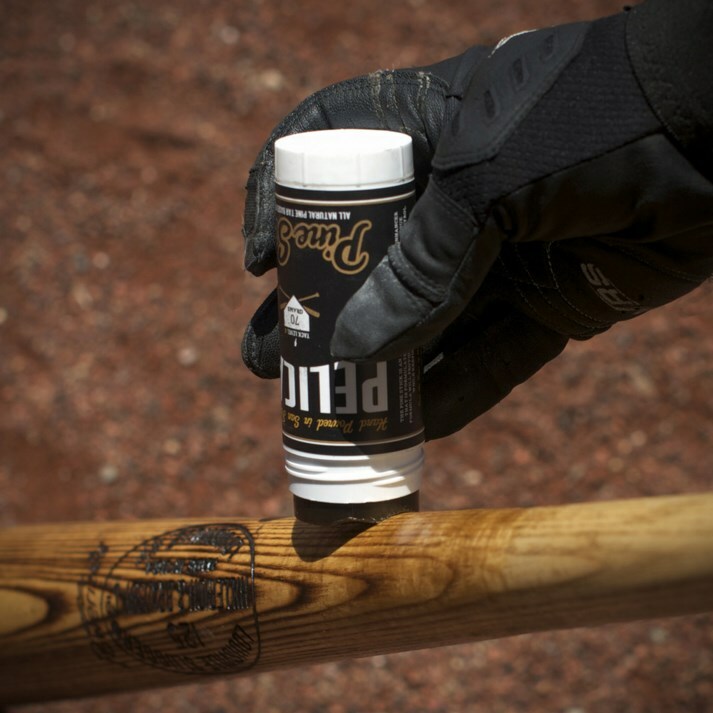 The Grip Dip has a tack level of 8 and is our stickiest product to date. 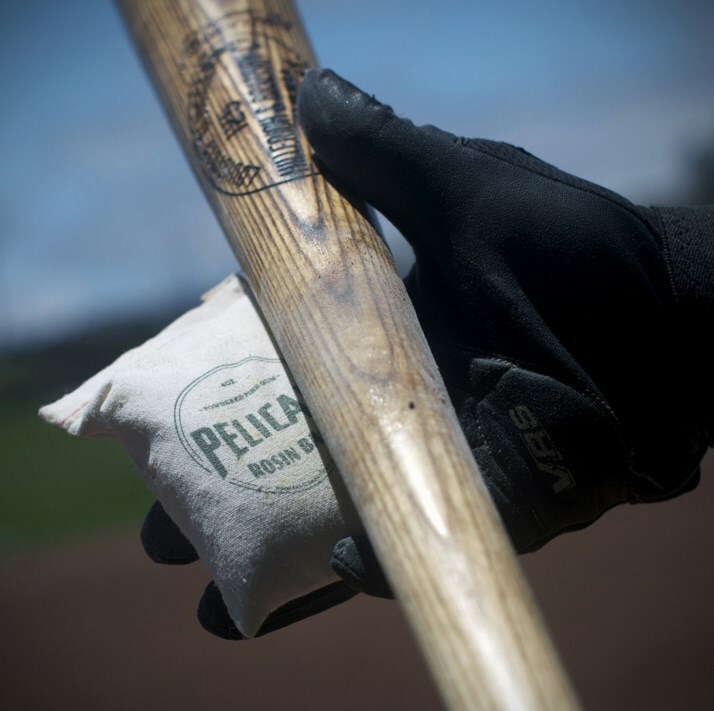 It’s a pine tar & rosin blended formula that has a consistency very similar to peanut butter. 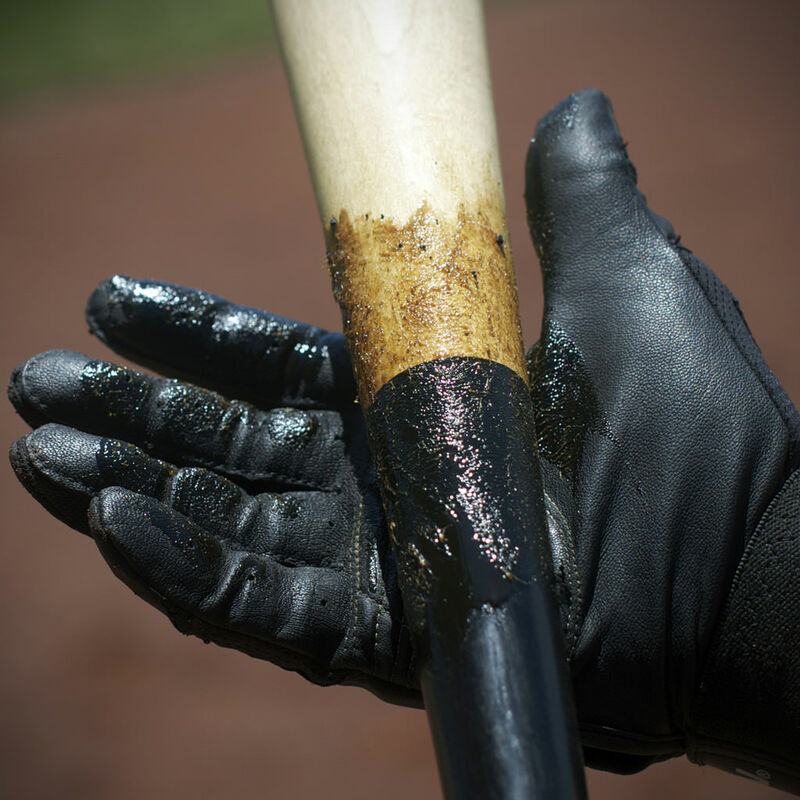 If you love pine tar but wish it would be ready to go as soon as it hits the bat, then this is for you. 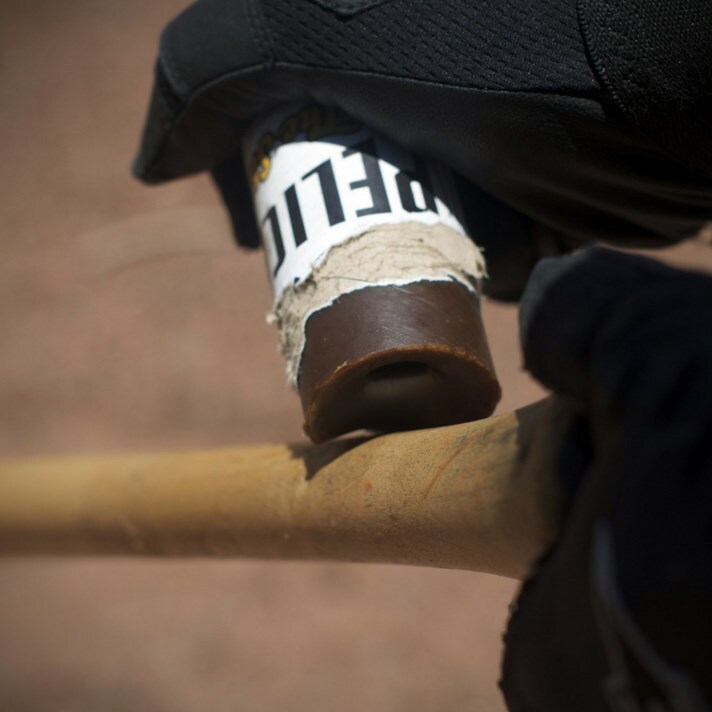 Pine tar usually takes a bit of doctoring before optimal tack is achieved. 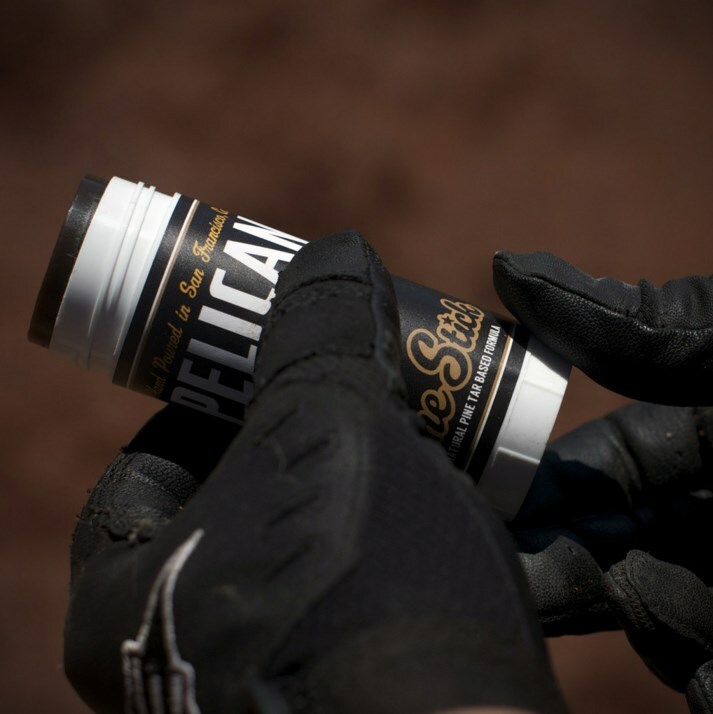 While this process can be fun and part of the ritual for the player, Pelican’s Grip Dip is ready to help the players grip as soon as it’s applied. 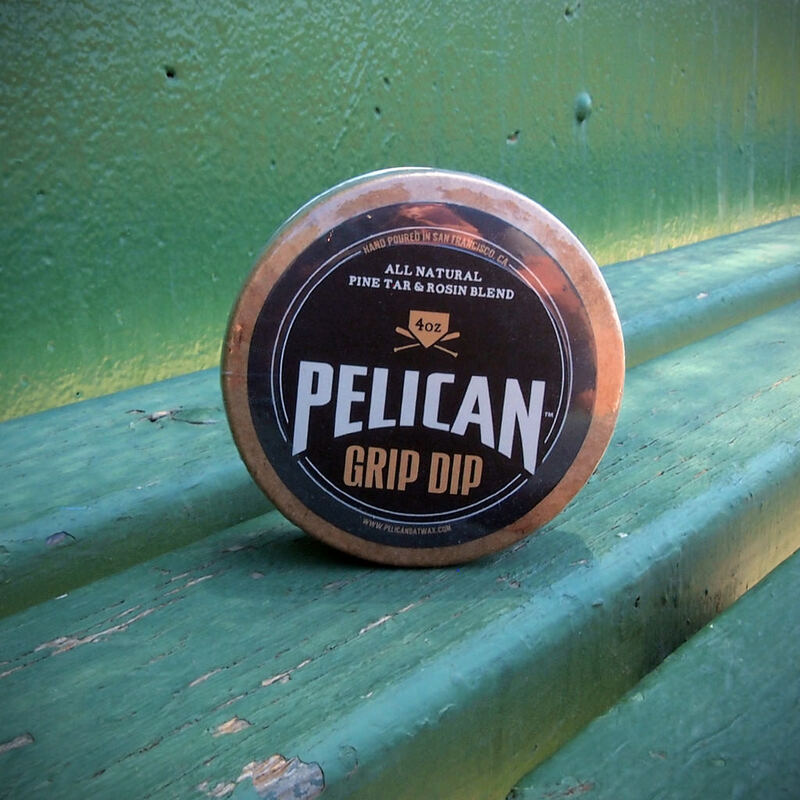 The Grip Dip comes in a 4oz. tin very similar to something you’d see the other kind of dip in. To begin applying, simply take the wood spoon included and pull a dab out of the container. 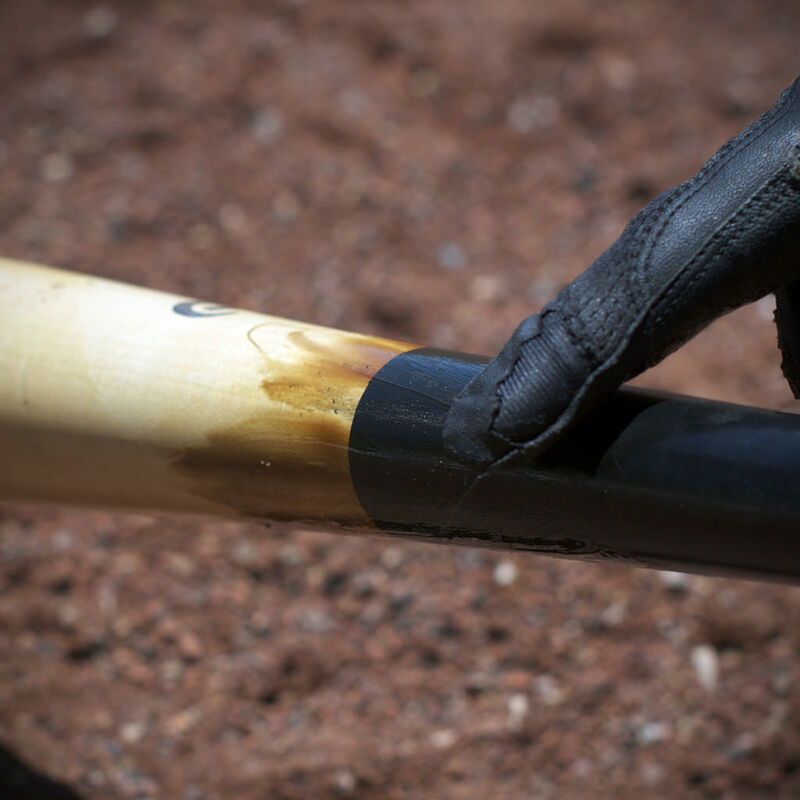 Smear the Grip Dip all over the taper covering all sides of the bat. Once it’s on there, you can easily smooth it out with your index finger. Once the coat is nice and smooth, you are ready to go. Grab the area where the Grip Dip is applied and bring it down to the handle. 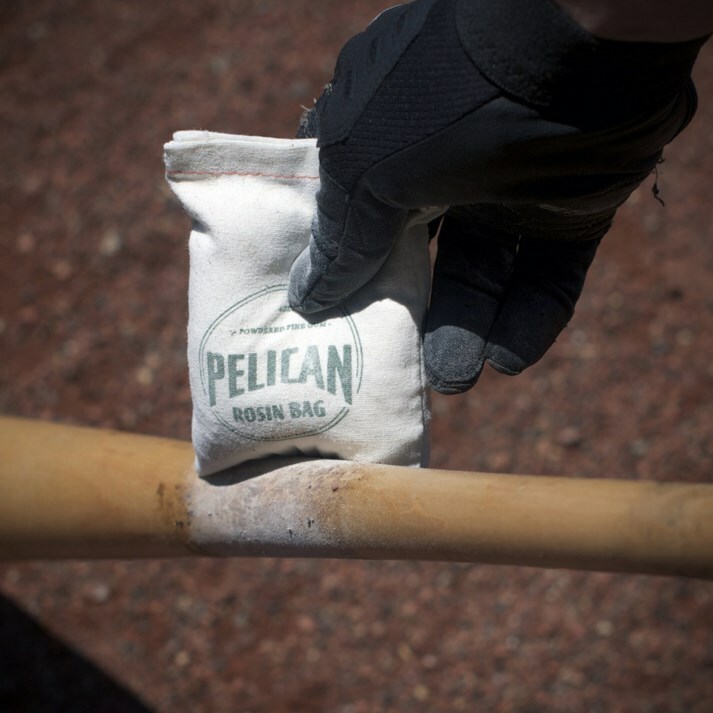 Just like the other products, if you’d like to dry it up a it while increasing the overall tack level, feel free to tap it with a bit of rosin. 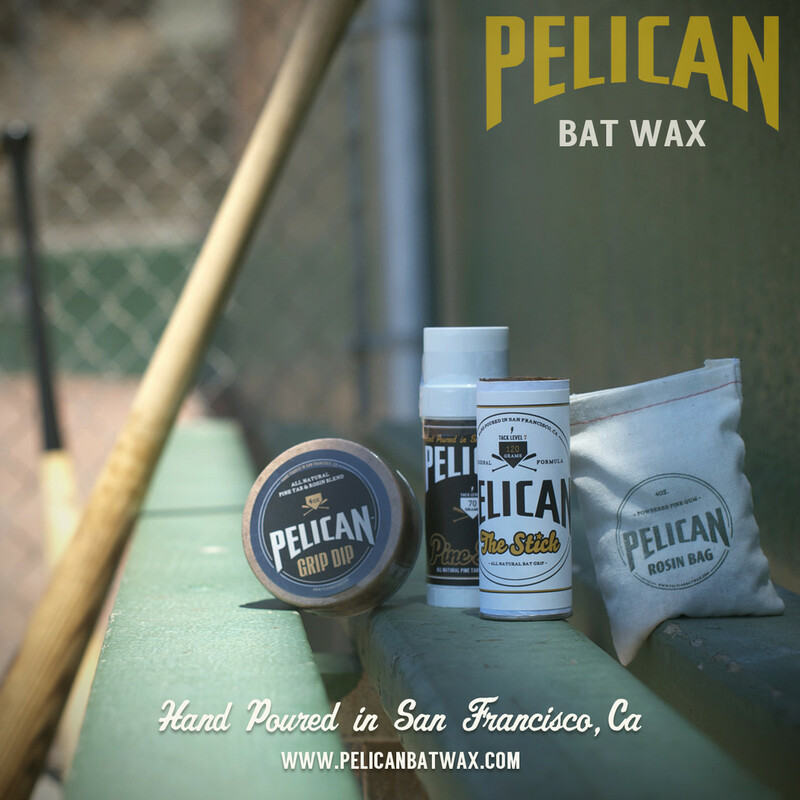 Check out our website at www.pelicanbatwax.com to learn more about Pelican Bat Wax and the products we have to offer. We also have other items such as shirts and stickers and will be adding new items as we continue to grow. All photos by Frank Martell.